I absolutely hate winter—it's too cold and you have to cover up your cute outfits with a ton of layers. 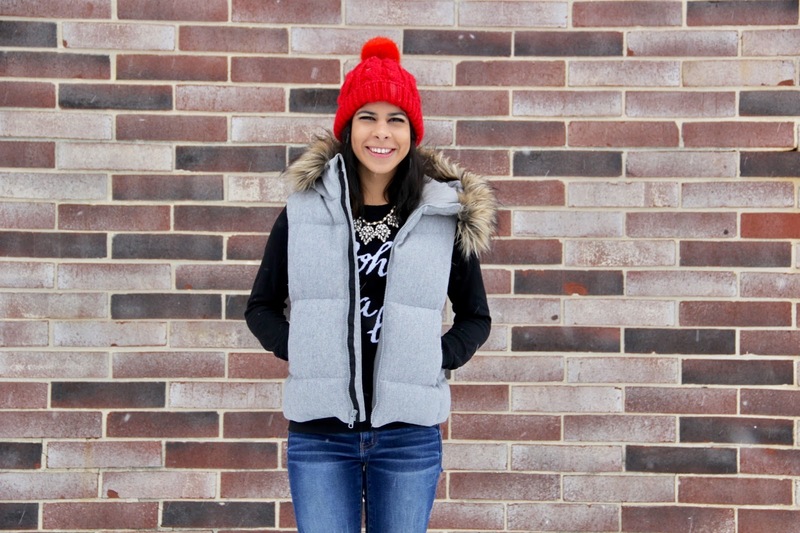 There are, however, a few winter accessories that make bundling up not so bad. 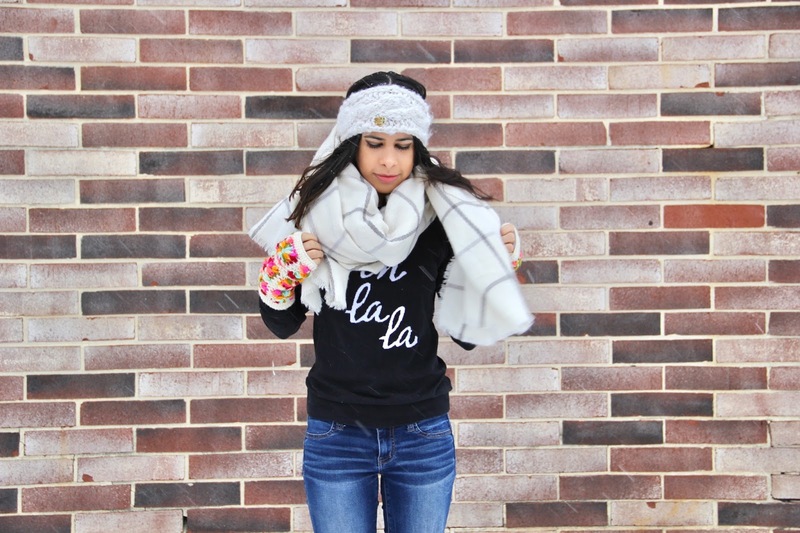 I mean lets be real, I'm a sucker for a cute blanket scarf. So, I gathered together a few of my favorite winter accessories to share with you guys below. Enjoy!! 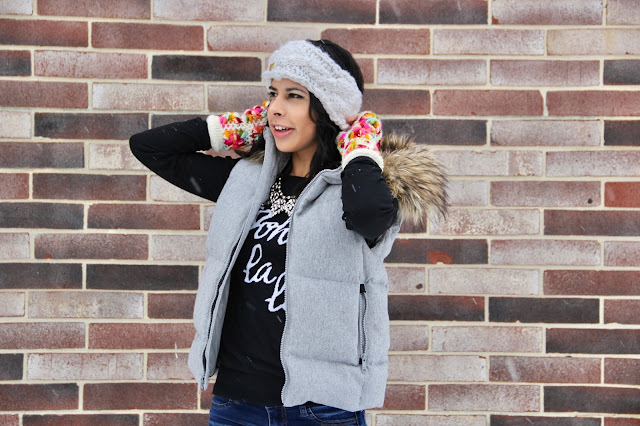 Nirvanna Designs Hand Warmers - I absolutely love these! I recently purchased them when I was in New York this past weekend and have worn them everyday since. They are super cozy and the design is adorable. I personally have been liking hand warmers more than gloves recently, so if you're looking for a cute pair for this winter these come in a bunch of different colors and styles. 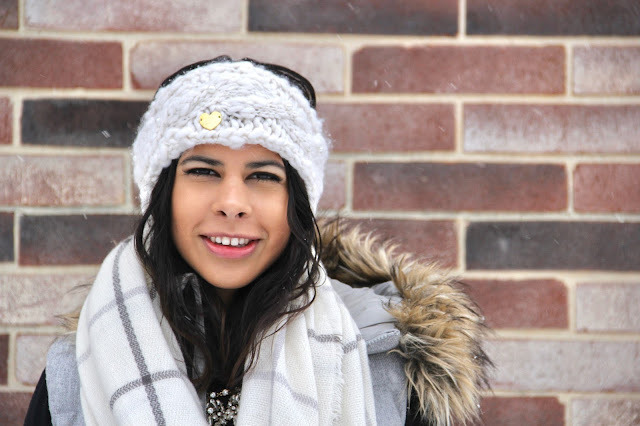 Betsey Johnson Headband - When I'm having a good hair day the last thing I want to do is throw on a hat to ruin it, which is why I love headbands so much. This one is perfect because it matches with everything and it's super warm. 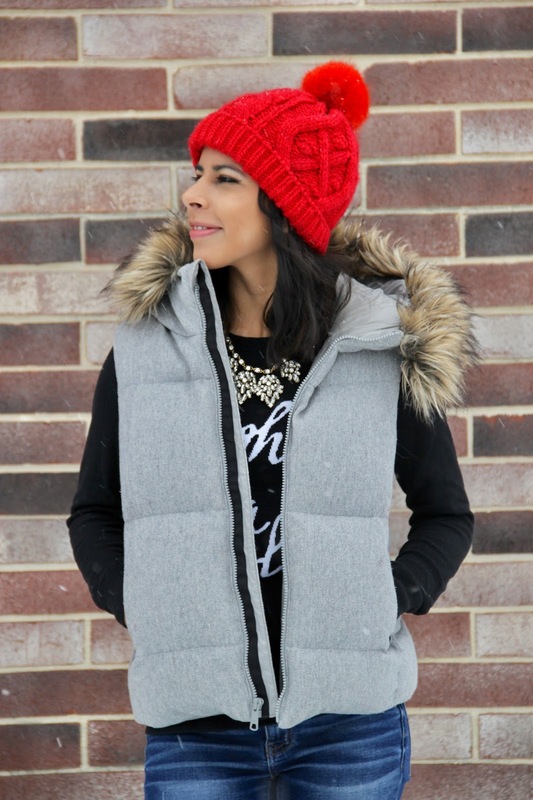 Pompom Beanie - I got this hat as a Christmas present last year from Gap and I couldn't find it on the website, so I linked my current favorite. 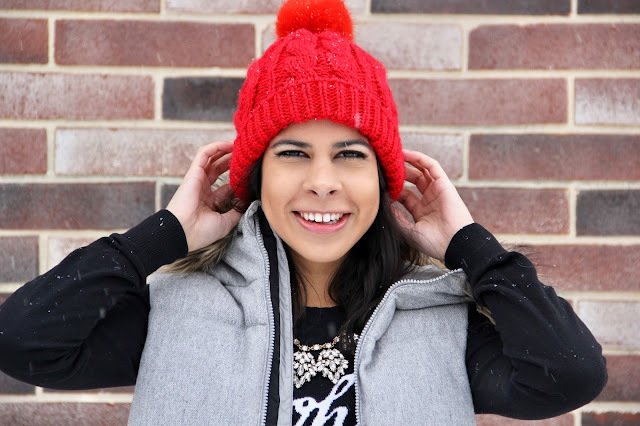 Pompom hats are hands down the cutest and this one is bright and colorful. I love throwing mine on when I have to go run errands or don't feel like doing my hair for the day. Blanket Scarf - I purchased this at Old Navy and I couldn't find it on the website, but I'm sure it's still sold in stores. This is my most worn scarf because it's so cozy and matches everything. 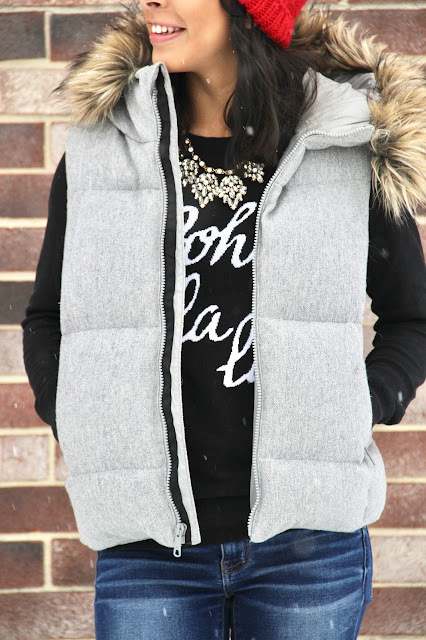 Puffer Vest - I wish they still sold this exact vest because you all need it in your closets. Usually I don't wear vests in the winter time because it's too cold and they don't keep me warm but this vest is amazing! I can wear a couple layers with it and be perfectly fine, plus it's adorable.